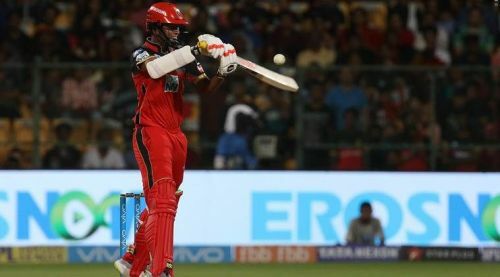 The Indian Premier League has crossed the halfway point and every match being played becomes much more serious with respect to which teams make it to the playoffs and which teams don't. The points table is constantly seeing change with every passing moment and the teams have been making changes to their playing XI based on the conditions and opposition and while few of them have been clever decisions, few decisions have been wrong ones. The coaching staff and captain would've figured out the right team combination to play with and all teams should be settled by now. The decisions taken by the teams during the auctions have come to the fore and not all deals have worked out too well. The back-up players from each team have slowly started to feature in games due to the misfiring or injury of the first-choice players. On that note, let's take a look at one benched player from each team who deserves to play. Sundar is pretty handy with the bat. Washington Sundar has surprisingly been benched for the first half of the season by RCB and the team finds themselves at the bottom of the table with 1 win from 7 games. RCB have imminent problems with their bowling and they have constantly leaked runs in the power play and the death overs. They initially played only 2 spinners and got punished and though they have brought in Pawan Negi, Sundar should be brought into the side to further strengthen their side's bowling. Sundar can take Moeen Ali's place in the side as he's more of a specialist bowler and must be used in the power play to stem the flow of runs. He has a tremendous T20 record playing for India and has bowled with immense control over his line and length and has choked the batsmen. Sundar has 10 international wickets to his name at an economy rate of 6.04 and he can be used as a trump card during the power play. He is a good striker of the ball and can provide a couple of cameos towards the end of an innings. The Rajasthan Royals have been another team who haven't had a great start to their season. The team from the Pink City have got 2 wins from 7 games and a major reason for this has been the inability of their middle order to score runs. Steve Smith has got runs to his name but has scored them at a very slow pace and has been a problem to the side. RR lack punch in their middle and need a finisher in their team, someone who's a proper middle order batsman and Ashton Turner seems to be the right man for the job. His arrival allows players like Tripathi to play up the order and he fits into the team perfectly as a utility player. 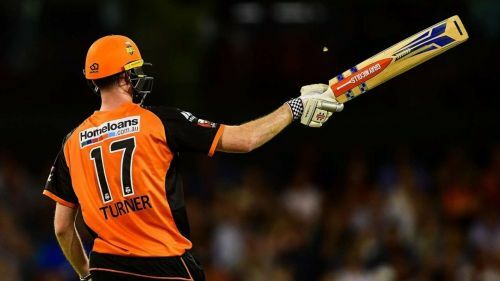 Turner is a solid option for the team to pick and has plenty of T20 experience to bank on. He needs to get a game as soon as possible if RR want to bolster their batting and bring balance to their side.